Built by Hohner to meet the unique needs of the dedicated harp player looking for 'that' sound. 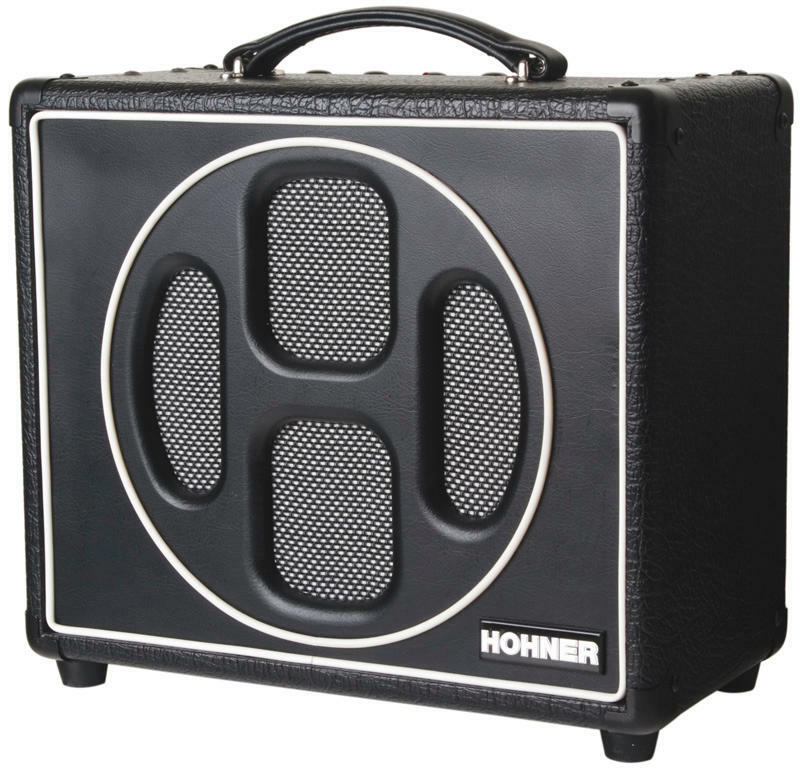 The Hoodoo Box is a 5W, Class A, hand-wired tube amp combo designed especially for harmonica players. Built from the ground up to produce the fat, distorted tones that are the cornerstone of the electric blues harp sound, it is equipped with a single EL84 power tube and a 12 AX7 plus 12 AU7 tube complement in the preamp stage. Its classic spring reverb will add drama and air to your performances while the Celestion Super 8 8" speaker is especially suited to reproduce the entire range of harp tones. The XLR direct output can be used for recording or as a send to the front of house PA.